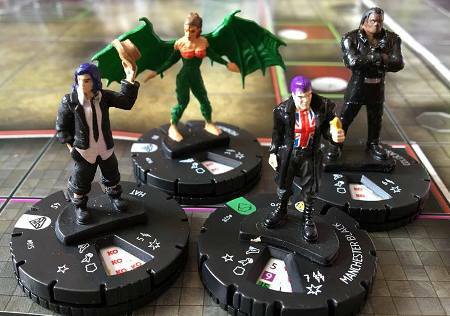 Despite solid sculpts and an interesting array of characters this set still somehow falls short in playability. 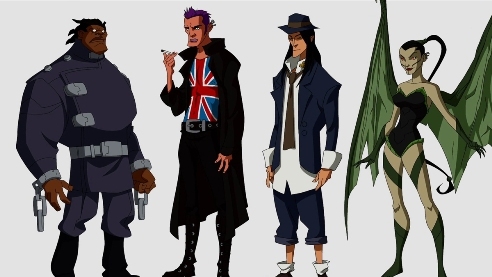 There may be a nice variety of characters, but most are a bit bland or generally uninteresting. 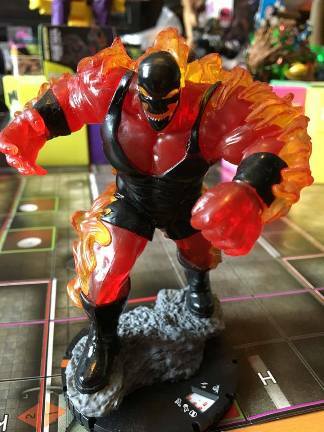 That's not to say there are not good figures in the set. 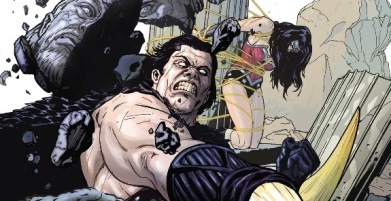 Kypto, Batman (Thomas Wayne), Mister Mxyzptlk and a solid 200pt Wonder Woman. 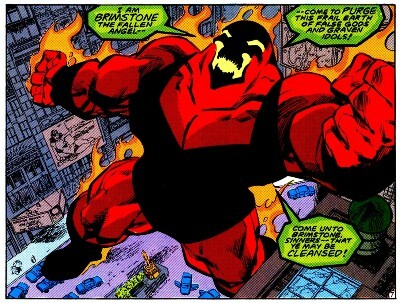 Not to mention the Colossals that introduce the Colossal Retaliation ability. So good try, but not quite. 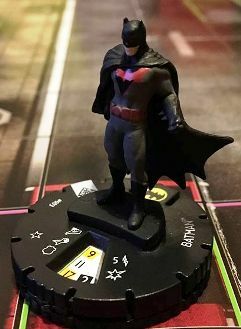 Thomas Wayne is a famous surgeon and wealthy philanthropist in Gotham City, he is also the murdered father of Bruce Wayne - BATMAN. 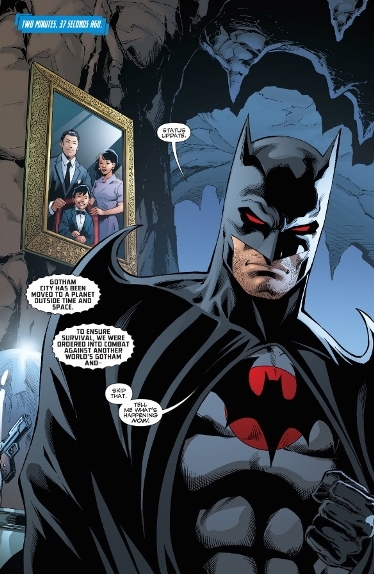 Thomas Wayne has made various appearance over the years, most notably in the 2011 story Flashpoint the timeline is changed, it was Bruce who was killed and Thomas Wayne became Batman. 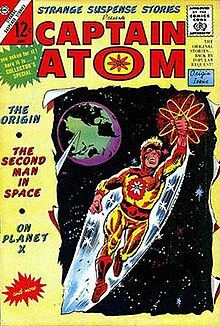 Captain Atom has a long history in DC Comics, and in Charlton Comics before that. 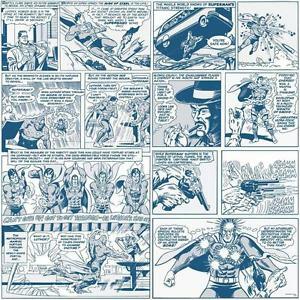 Two significant incarnations are Allen Adam and Nathaniel Adam. 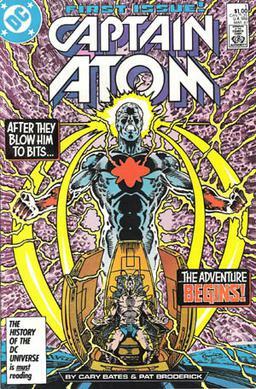 Captain Atom is able to absorb theoretically infinite amounts of energy which he can manipulate and use to grant himself flight or super strength. 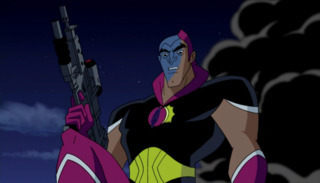 As well as comics Captain Atom has appeared in other media, being a semi-regular in in the animated television series Justice League Unlimited. 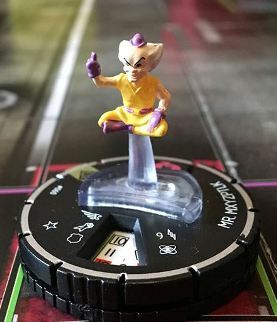 This trickster is an imp from the "fifth dimension." 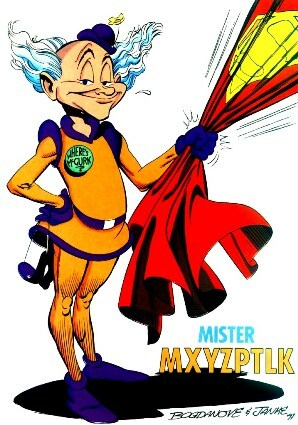 He has near omnipotent reality bending powers. 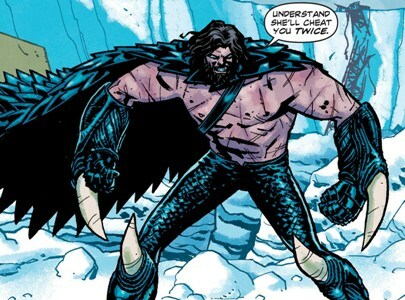 He is often a foe of Superman, and may come from the same dimension as Bat-Mite. 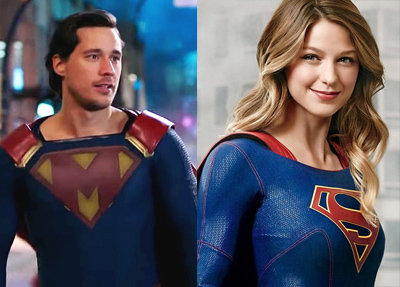 Among his many appearances he recently appears in the Supergirl TV show. 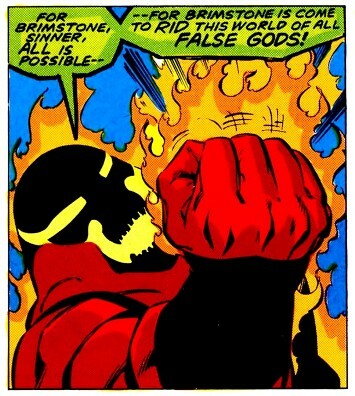 Brimstone is an evil monster created on Apokolips. 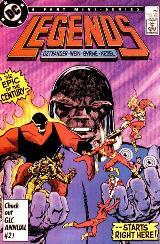 Darkseid sent him to Earth as a techno-seed during Legends, where he grew to full size inside a nuclear power plant. This made him incredibly dangerous and destructive. 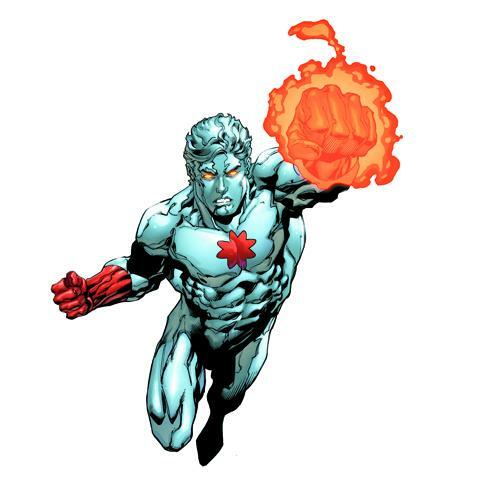 His first enemy was Firestorm. In this first encounter, the Suicide Squad defeated him at Mount Rushmore. 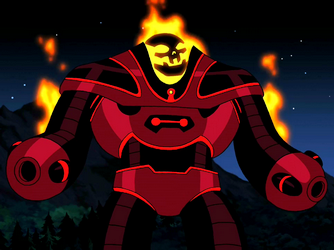 In the animated series Justice League Unlimited Brimstone was a nuclear powered robot created by the nation Chong-Mai. 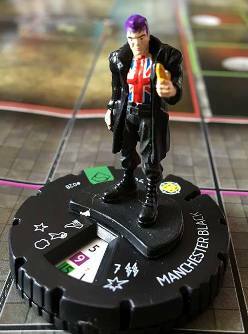 Manchester Black is a ruthless vigilante and was the team's first leader. 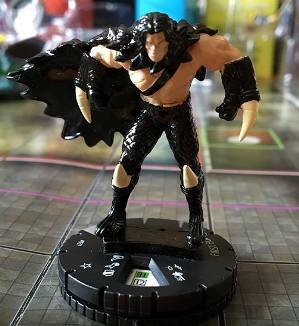 Coldcast is a very large and muscular African-American man. He is capable of manipulating electromagnetism. 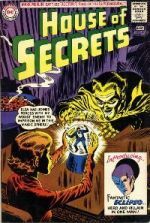 Menagerie is a Puerto Rican woman with a symbiotic suit of armor that allowed her to transform into a chimeric creature. 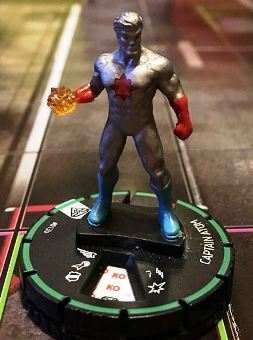 Hat is a young and a powerful Asian Earth elemental with a measure of invulnerability and an ability to breathe fire. He was armed with a magic hat from which he could pull any item he wanted, summon demons, and wield magic. 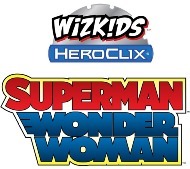 Son of Zeus and Hera, half-brother to Wonder Woman. The true origin of the First Born is a secret held by the Gods of Olympus. According to them, the First Born was the very first child of Zeus and Hera. On the day of his birth, a prophecy was recited that some day he would sit upon the throne of his father with the rest of the family as corpses around him. To prevent this from coming to pass, Zeus ordered a witch to kill the baby. 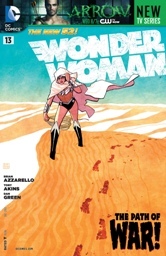 Hera pleaded with the witch for mercy and instead she left the the baby in Africa, to fend for itself. An evil and megalomaniacal entity. 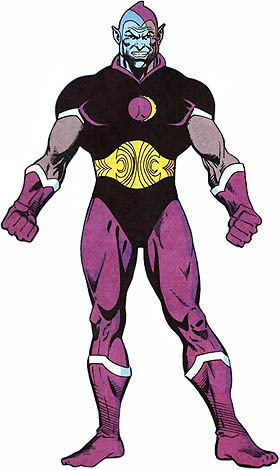 Eclipso's character laments the power he once had as a spirit of divine vengeance. 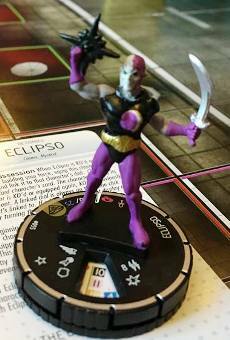 Eclipso would frequently seek to possess beings of incredible power like Superman, Lar Gand, and Captain Marvel to achieve his ends. 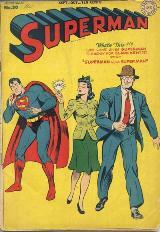 First appearing in a Superboy story, Krypto was the pet dog of Kal'El on Krypton. 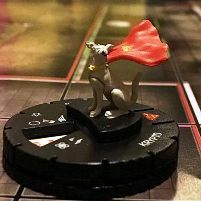 How Kypto got to Earth varies, but being a Kryptonian canine he has similar powers to Superman. 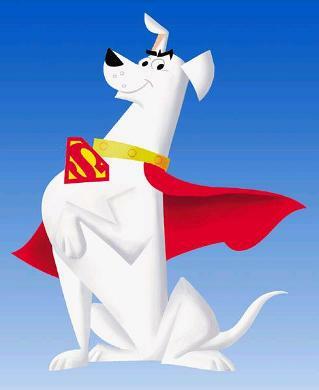 In 2006 Krypto had his own TV series.